James F. “Jim” Normandin, joined Adams Publishing Group January 1, 2019, as President of APG Media of Chesapeake, and possesses an inspiring passion for building stronger communities through quality journalism. He holds nearly four decades of executive leadership experience since starting his career in the classified department at the Fitchburg Sentinel and Leominster Enterprise, both in Massachusetts. 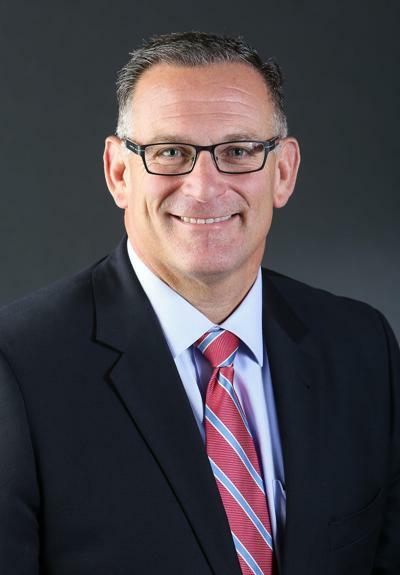 Normandin came to APG from the Union Leader Corporation (New Hampshire Union Leader), based in Manchester, New Hampshire, where he served as the Chief Operating Officer. Prior to his tenure at the Union Leader Corp, Normandin excelled as the Publisher and President of the Telegram Publishing Company (Worcester Telegram & Gazette) located in Worcester, Massachusetts; as Employee-owner, Vice President of Newspapers and Publisher of TH Media (including the Telegraph Herald) for Woodward Communications, located in Dubuque, Iowa; as Group Publisher for Brown Publishing Company located in Cincinnati, Ohio; and as corporate executive for Pulitzer Publishing Company located in St. Louis, Missouri. Normandin has served on numerous industry-related, educational, private and public foundations, boards and associations during his career. He has served on the board of the New England Newspaper & Press Association (NENPA), as Chairman of Two by Two Character Education and Development, as Director of the Woodward Foundation and as Chairman of the Independent Newspaper Group. He is a native of Leominster Massachusetts, a 1978 Graduate of Leominster High School and was a recipient of a Baseball and Football scholarship to the University of Connecticut. In November 2018, Jim was inducted in the Leominster High School Football Hall of Fame. He is a 1991 graduate of the Southern Production Press Institute in Oklahoma City, Oklahoma, and in 1996 he returned to the University of Connecticut to study Business. His professional and educational development has been significant and varied, including being selected to travel to the Ukraine in 2004 to promote the freedom of press during the “Orange Revolution,” participating in the inaugural 13 month “Executive Program for Innovative Change” conducted by the Inland Press Association in 2012/2013, and participating in Jack Stack’s “Great Game of Business” Open-Book Management Certification Program in 2014. Mr. Normandin and his wife Jody of 37 years have one daughter, Jenna Catherine, who lost her battle to cancer in 1999 at the age of 13.